Wheatley Plastics is pleased to announce that it has been awarded the top-quality ISO 9001:2015 quality assurance accreditation. ISO 9001 is an international standard laying out the requirements for a well-functioning quality management system. Wheatley Plastics managed to pass the latest version of the award on the first attempt and became one of only five percent of UK companies that have the quality mark. The internationally recognised award is given to any business that can demonstrate an ability improve operations, act more efficiently and satisfy their customers. The quality management system draws on the Japanese concept of continuous improvement, with a particular focus on how organisations meet the requirements of customers and other stakeholders with processes. Using a company with ISO 9001:2015 accreditation means that you can be sure that you will get consistently good quality products and services. 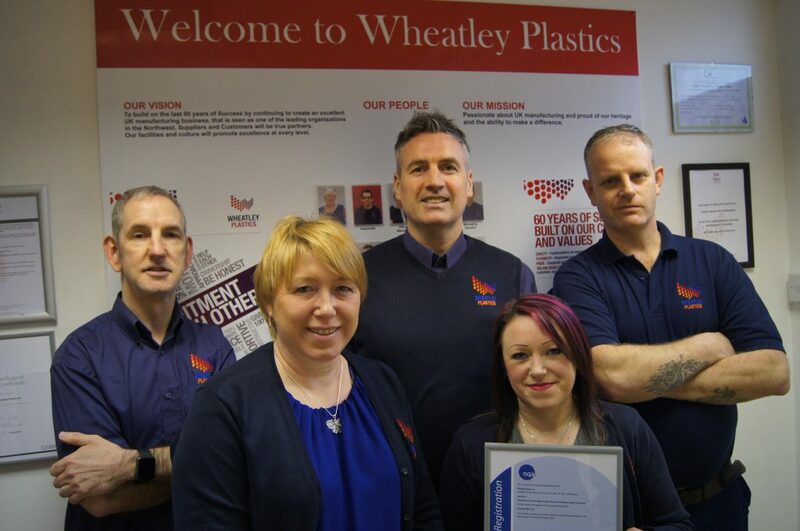 Wheatley Plastics passed the accreditation first time with help from Improvement Journeys consultant Jan Collier who shared her quality management expertise to help Wheatley understand and achieve certification. To pass, the team has introduced a number of new processes and procedures and provided sufficient training to staff to make sure they are followed. The new procedures have all been backed up with the necessary documentation including a newly drafted quality policy. All of this was enough to convince the global auditors NQA who conducted the external audit.